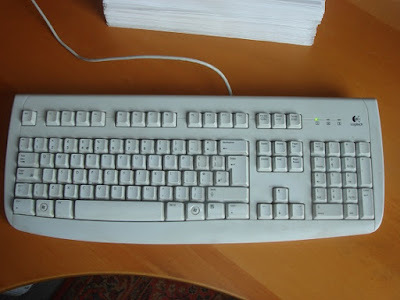 Logitech deluxe 250 keyboard. I've had this for more than ten years. It has clickety-clack* keys, and even though I'm a four-fingered typist who hammers the heck out of keyboards, none of them have failed. 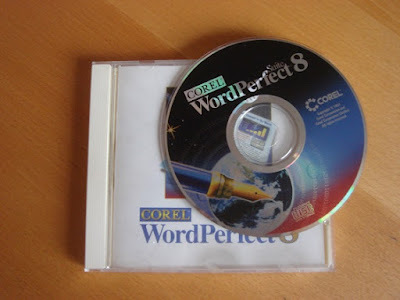 I started out using WordPerfect 4.2 back in the 1980s, the age of 5.1 inch diskettes, video nasties, and Max Headroom. It did everything a writer needed it to do, didn't come loaded with a ton of superfluous extras, and presented a nice clean space on the screen. I've been using various iterations ever since, sticking at version 8.0, which I bought back in the late 1990s. Of course, I have to convert finished documents to Word because that's the industry standard, but it's a minor inconvenience compared to the delight of using something whose commands and shortcuts I never ever have to think about. 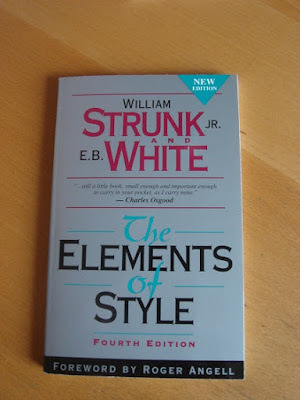 Aspiring writers could read one How-to-Write handbook every day for a year, and still never reach bottom (and never get any work done). 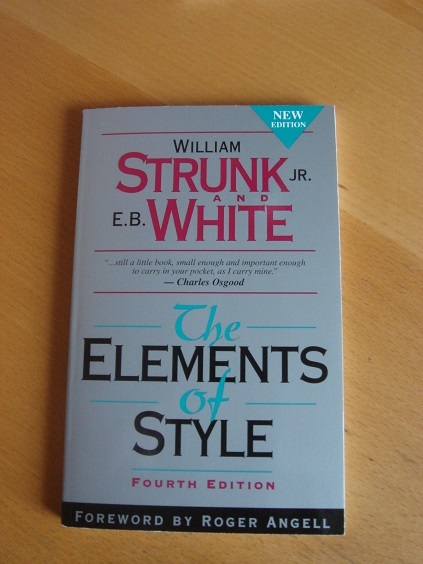 Strunk and White is at least compact, and contains one piece of essential advice that I try to cleave to every day: omit needless words. 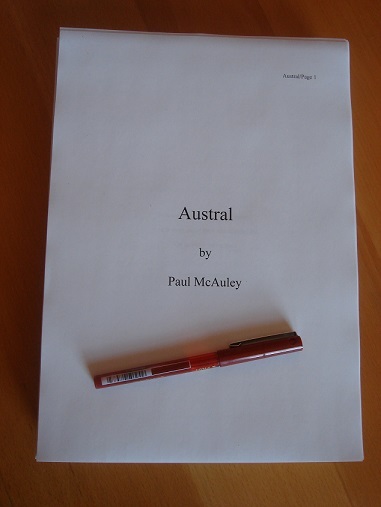 At some point I need to print out at least one version of the ongoing work and go over it with a red pen. Maybe it's an affectation of a geezer who started out in the pre-internet age, but I like to think that reading a MSS in hard copy is another way of seeing those goofs and glitches my eyes might skate over on the on-screen version.